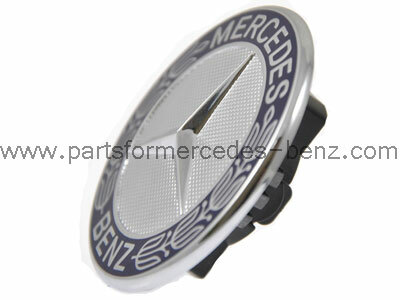 To Fit: Mercedes S Class 1991-1999. Retro fit kit to replace Mercedes Bonnet Emblem. Anti vandal solution, if you are fed up of having your Mercedes bonnet Star vandalized this retro fit kit is for you! Kit consists of Mercedes Laurel Badge, and an adapter kit to fill the hole where the Star Logo would have been seated.